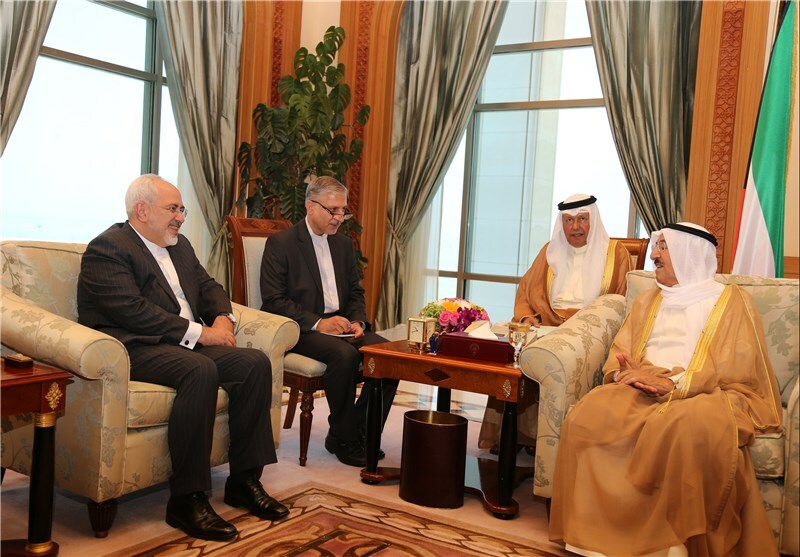 TEHRAN (Tasnim) – Iranian Foreign Minister Mohammad Javad Zarif and Kuwaiti Emir Sheikh Sabah al-Ahmad al-Jaber al-Sabah on Sunday held talks on a whole host of issues, including the successful conclusion of nuclear talks between Tehran and world powers. 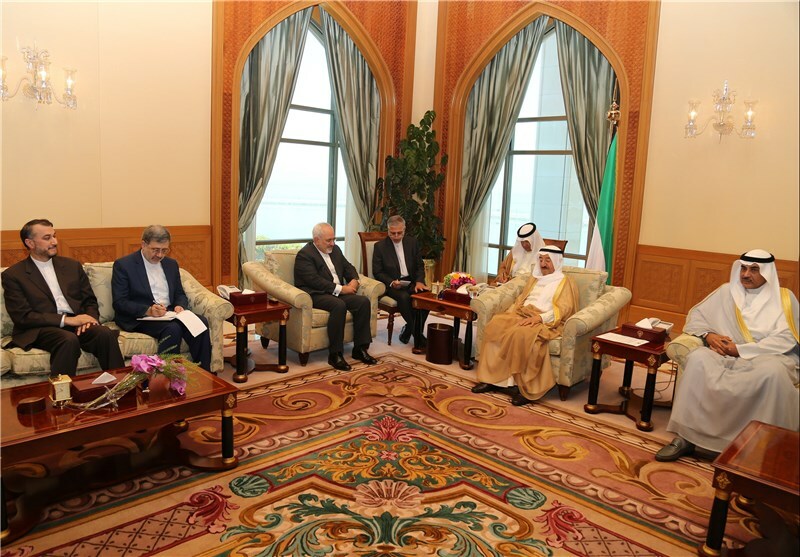 During the meeting in Kuwait City, Zarif and Sheikh Sabah also exchanged views about the latest developments in the Middle East region and ways to promote bilateral relations between Iran and Kuwait in diverse areas. Zarif's tour of regional countries, which began on Sunday, aims to convey the message of friendship and strengthen regional collaborations, Deputy Foreign Minister for African and Middle Eastern Affairs Hossein Amir Abdollahian, who is accompanying the Iranian top diplomat, said. 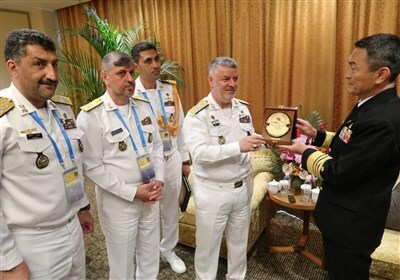 He noted that Kuwait, Iraq and Qatar are Mr. Zarif's destinations in the first round of his tour of the neighboring and Persian Gulf littoral countries. Foreign Minister Zarif has plans to visit a number of other regional countries as well, Amir Abdollahian added. Zarif's trip to Kuwait comes following the conclusion of nuclear talks between Tehran and the Group 5+1 (Russia, China, the US, Britain, France and Germany). Iran and the six powers on July 14 finalized the text of a lasting nuclear deal that would terminate all anti-Iran sanctions after taking effect. The United Nations Security Council unanimously passed a resolution afterwards, endorsing the comprehensive accord.